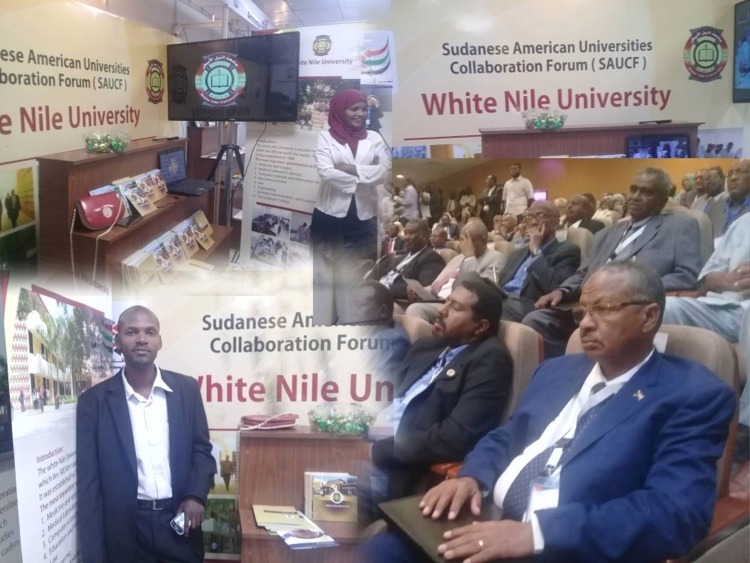 White Nile University participated in the Sudanese American Universities Collaboration Forum(SAUCF) , which is being held in Khartoum. Participants more than 27 universities. The White Nile University seeks to hold many partnerships with American universities in many fields of scientific research to exchange experiences between universities .